StoryBook Sport Horses has been in business since 2001 when they started with just a pasture and barb-wire fence. With a lot of hard work and great support, they now run their operation out of Diamond 4 Ranch. StoryBook Sport Horses is a full-service barn that specializes in Jumper and Hunter horses and is owned & operated by Gianna Aycock and Colby Coltrain. Located in Argyle, TX, StoryBook Sport horses is Argyle Feed Store’s customer of the month for September 2017. 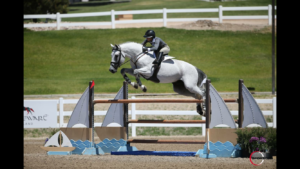 StoryBook focuses on bringing up young horses and riders to the Grand Prix level. 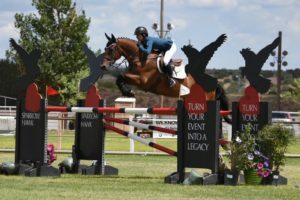 They compete throughout the US in Rated Hunter/Jumper shows. Their Academy program is run by their assistant trainer, Julene Chiramonte who helps riders of any level and age group to reach their desired goals. Along with their training program, they also have a breeding program with two stallions that is currently open to the public. Argyle Feed Store values the feedback on the products we sell from our customers. Horse trainers work with horses daily and see first hand which products work and benefit the health of their horses. Our core mission is to ensure our products are top quality and help horse owners achieve their horse’s goals. This entry was posted on Tuesday, August 15th, 2017 at 11:36 pm	and is filed under Horse, News & Updates. You can follow any responses to this entry through the RSS 2.0 feed. Both comments and pings are currently closed.